Nine’s breakfast television staple Today will now be fronted by two women with Deborah Knight joining existing co-host Georgie Gardner from 14 January, filling the void left by Karl Stefanovic. Former co-host of Weekend Today and 60 Minutes reporter Tom Steinfort will replace Sylvia Jeffries as the program’s newsreader. The shake-up comes as Nine looks to reinvigorate Today in 2019 after a series of unfortunate events including the sudden departure of Lisa Wilkinson following a breakdown in contract negotiations, declining ratings, the exit of the program’s EP and the recent ousting of Stefanovic. Melbourne sports presenter Tony Jones will also join the team, along with Nine finance editor Ross Greenwood, and former ABC journalist and Triple J newsreader Brooke Boney. Beyond this core team, political editor Chris Uhlmann, Richard Wilkins, Laura Vella, Christine Ahern, and Jessica Millward will also appear. Nine was keen to emphasise the new direction of the program, and its ongoing commitment to Gardner. 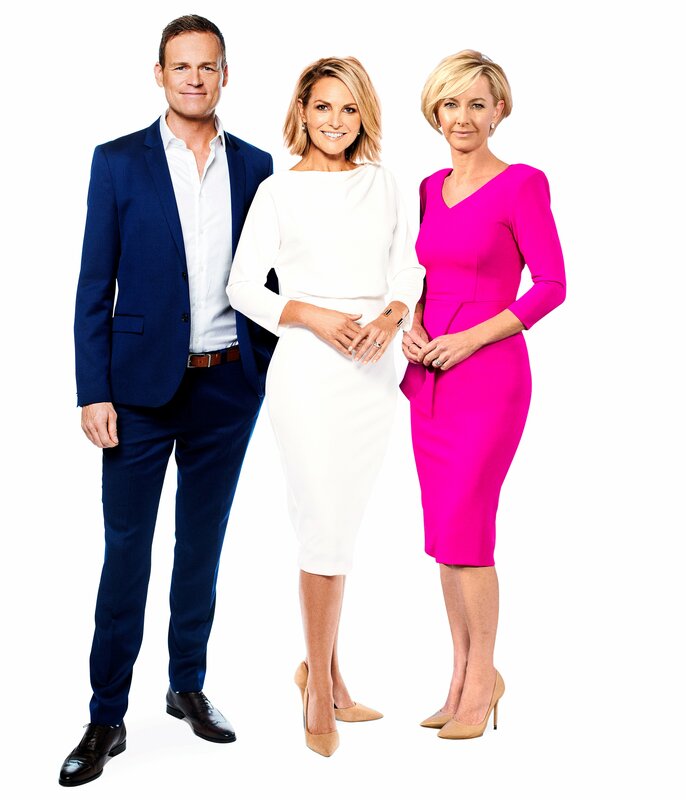 “Georgie Gardner, Deb Knight and Tom Steinfort will spearhead an energised and exciting Today Show in 2019,” Darren Wick, Nine’s director of current affairs said. “We’ve brought together a team from within the Nine family who are already well-known, trusted and liked by Australian viewers. “Georgie has established herself as one of the most respected presenters on television. Our viewers adore her. What you see is what you get. Authentic, caring and compassionate. Deb Knight is hands-down one of the best interviewers in the country. An incredibly hard worker, she cuts to the chase with every conversation. “And Tom Steinfort is among the best of a new breed of reporters. His career has taken him from the Melbourne newsroom to A Current Affair, European correspondent for Nine News onto 60 Minutes. The refreshed program will be overseen by new director of morning television Steven Burling, who said Australia would love waking up with the new hosts. “Today viewers expect our reporters to deliver breaking news from overnight and early morning – but our team will also set the daily agenda; unique stories, exclusive interviews and content that will have people talking throughout the day. Channel 9. The entire industry is laughing it’s head off at you. Just wipe off 2019/2020/2021 however long it is chop the ones (management) who is making these decisions. Everything about this line up is so bad. @Dave, is that you Karl? Both are [edited under Mumbrella’s comment moderation policy] Boring females that have the personality of a biscuit. Hello ch 7 or ch 10. Outside of the walls of 9, what makes any of them respected journalists? I wonder if it had been announced as an all-male line-up whether the remarks would have been so dismissive? Male or female. – makes no difference, the point still stands. Georgie and Deborah are too much alike. Every great team is a combo of ying and yang. Georgie and Deb is a double dose of king. The comments would be the same if they’d kept Karl and replaced Georgie and partnered Karl with another ‘naughty boy’. I would love to know what Tim Gilbert did wrong? Honest, what did he do wrong. I honestly can not see this working. I hate, hate ch7 Breakfast, putting it nicely. But I will just have to watch another Chanel. What could be more boring than watching a bottle of Chanel? Or has Col been drinking it? How disappointing, no more breakfast TV for my family after years of watching Karl and the team. Too boring. Deb Knight isn’t right for that job, just too dull… Find another Karl channel nine. Wow…..Sylvia Jeffries gets dropped just for marrying a Stefanovic ? That’s really poor form 9! Surprised by the vitriol above.. I don’t mind it.. don’t particularly like either current or next sports presenter, but the show could def benefit from more ross greenwood and chris uhlmann.. with some new blood in entertainment reporting welcome too! Deb Knight is very talented. I think Georgie has been a little stale and is too north shore for the viewers they need to attract but she might loosen up a bit. Tom is a terrible presenter but decent reporter. Tony is just a play to attract the Melbourne audience. He’s well known there.